Sony is stuffing its Reader Store with almost two dozen new newspaper and magazine subscriptions. 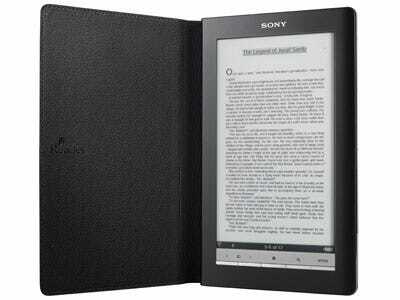 In its pursuit of knocking down Amazon’s Kindle and cashing after Apple’s iPad, Sony is hoping to offer more digital reading options. In the coming weeks, they plan to roll out WSJ PLUS, “a complementary bulletin delivery after the close of the markets, giving a comprehensive summary of the day’s world and business events,” for $19.99 per month. All that new content is supposed to help sell Sony’s Daily Edition model, a decent e-reader with its 7-inch touchscreen and stylus capabilities. But no matter how much new content it puts in its stores, it will likely remain behind even Barnes & Noble’s Nook in sales numbers.